As companies are experiencing the pressure from the new requirements regarding UFI and EuPCS, ChemGes is fully ready to help. This newsletter will show you some of the many available options and functions contained in ChemGes, regarding the UFI and the EuPCS. More newsletters with more details will follow, but the full repertoire is of course already available in ChemGes and details can be read in our manual. 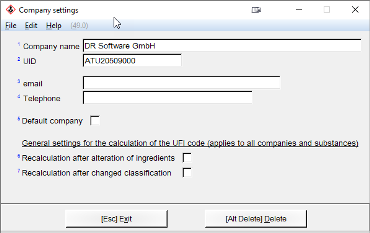 UFI, the Unique Formula Identifier, is a new identification number to be used by European Poison Centers in order to identify the composition of a formulation. ChemGes has you covered. We strive to simplify and automate, which we have also done regarding UFIs. UFIs are found in the Country specific classification screen. 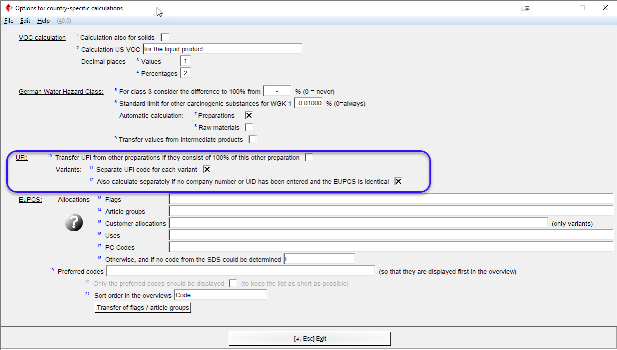 A UFI can be entered manually and is then locked.